Most of the Pride Events that I have attended in the past have tended to privilege events of performance and dancing. Pride parades tend to construct queer bodies as spectacles for straight people to observe. There tend not to be a lot of events for the more geeky queer folk. At the same time, most geeky events (fan conventions) tend to be highly heterosexual and not provide a queer space. When there are queer panels, they tend to be off to the side, leaving queer people feeling as though they were included as an afterthought or part of a diversity checklist. QueerCon, part of Capital Pride in Ottawa, made a safe space to be queer and geeky, to push boundaries and imagine new possibilities. QueerCon provided a space for imagining new possibilities while questioning the structures that tend to erase queerness. QueerCon provided a fun space for opening up questions and critiques and this energy could be seen from the attendees who walked around asking questions about why queer voices don’t appear more often in public spaces. People were excited about new possibilities and new opportunities for imagining spaces where queer people could be comfortable being queer. There was a freedom of expression that is rare in other spaces. The day began with an animation workshop that allowed people to access their creative abilities and express themselves in a new medium. People grouped together in unique ways, using the power of play to question and critique the society that oppresses queer lives. Mariko Tamaki spoke about her inspirations for her comics “Skim” and “This One Summer”, sharing her ideas about expressing queerness through the graphic fiction medium. Sophie Labelle continued this discussion later in the day when she talked about her comic “Assigned Male” and the expression of trans experiences. People who attended these talks were able to imagine new possibilities for expression and the use of creativity. Having comic artists speak allowed QueerCon to bring attention to the way that we can write and produce art creatively in a way that allows us to find and share our voices. Comics have the unique power of intertwining art and word. I spoke on a panel on Diversity and Representation with people from diverse perspectives and diverse engagements with queer geekdom such as Mariko Tamaki (comic book writer and artist), Niq Cosplay (cosplayer), Saffron St. James (burlesque artist), Rhapsody Blue (burlesque artist). This allowed us to explore the diverse ways that we queer geekiness or geek queerness. By combining academic voices with cultural producers, we were able to interrogate the ways that we engage with our communities and how we can bring these communities together. There was plenty of play to be had in addition to the discussions and QueerCon invited people to engage with Geek Trivia and questions about cosplay (the creation and wearing of costumes from popular culture). The discussion of cosplay allowed for the imagination of the ways that we can transform characters from popular culture by wearing their costumes. Essentially, cosplaying bodies can become tapestries for imagining new possibilities. QueerCon was a needed addition to Pride, allowing for new ideas to develop in a safe space where multiplicity of voices was encouraged. Heroes of the North Logo courtesy of the producers. There has been an increase in Canadian speculative fiction shows lately with programmes like Lost Girl, Sanctuary, and Orphan Black, and they have been fantastic… but I have found myself searching for a really good Canadian superhero show. Although only a webseries at the moment, running on a shoestring budget, I have been excited about the work that has been put into the Heroes of the North series. Rather than creating the typical Canadian superhero group bound together already, Heroes of the North begins with individual tales of superheroes, each showcasing bits and pieces of their personality. Unlike most Canadian superhero stories, Heroes of the North is a series that explores the violence of crime fighting and the idea that sometimes the line between superhero and supervillain is thin and it is only by calling them “heroes” that we keep them fighting against villains rather than the public. Dressed in pleather and spattered in blood, these heroes challenge traditional assumptions about the Canadian superhero – the hero that says “please”, “thank you”, and “excuse me”, while politely bringing criminals to justice. However, this team, incorporating a particularly Canadian aesthetic, brings together Francophone and Anglophone team members and incorporates Canadians across the country into its roster… as well as former criminals. From The Canadian, based in Ottawa with super strength, stamina and an electrostatic shield to 8-Ball, the Montreal-based martial artist/ weapons expert, to Fleur de Lys, the Quebec City-based martial artist with Electricity-generating gauntlets, to Nordik, from Fermont Wall, possessing immunity to cold and bracelets that freeze enemies, to Black Terror, the drug-addicted, nanotechnology enhanced super-strong Griffintowner, to Pacifica, the super-speedster from Victoria, BC, to Acadia, the Moncton-based invisible woman with carbon-fiber blades this is a team that is diverse in ability, origin story, and locale… and they are all willing to go to extreme ends to facilitate their vision of justice. These are morally ambiguous heroes. Sometimes it takes the morally ambiguous when you have to go up against a pharmaceutical/ weapons manufacturer who is interested in worldwide conquest. Blending the comic and the macabre, this series questions the superhero genre at the same time as it presents some canon features of the genre. This is kink meets heroic… complete with latex and pleather outfits. You can discover more about Heroes of the North and watch the webbisodes at http://www.heroesofthenorth.com/index.php . Here is a link to their indigogo campaign to fund season 2 of the shot https://www.indiegogo.com/projects/heroes-of-the-north-season-2–2 . I have been finding comics unsatisfying in recent years because too many of them have been cutting down on dialogue. 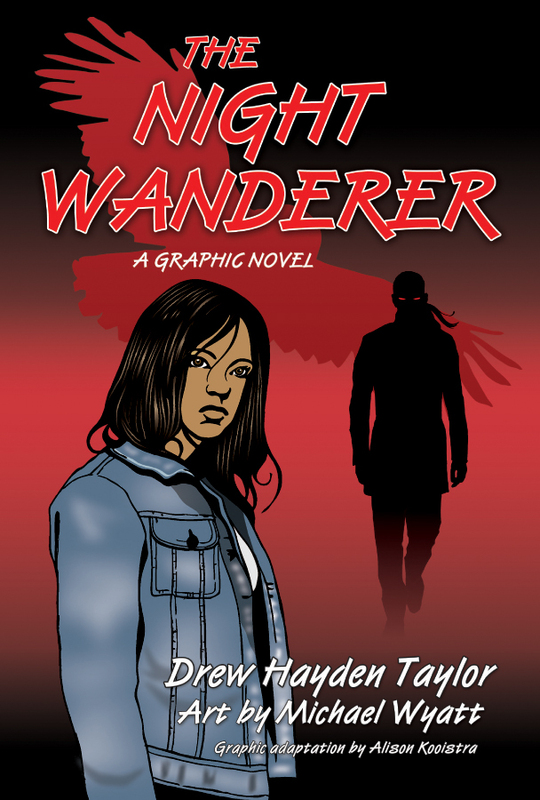 I tend to like a lot of dialogue and narrative movement in a graphic novel, so I was excited to see that the graphic adaptation of Drew Hayden Taylor’s novel The Night Wanderer blended text and image effectively, creating a complete story. 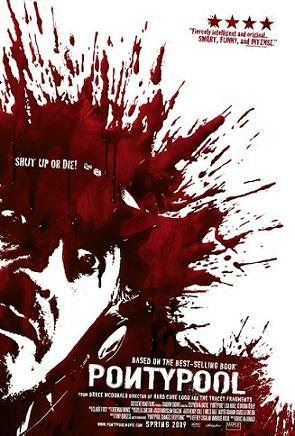 Alison Kooistra’s adaptation of Hayden Taylor’s novel pulls out the effective characteristics of the novel and presents a complete story. This is a story about two entwined lives – one beginning and one reaching its completion. It has been 300 years since the man calling himself Pierre L’Errant has returned home to Otter Lake. The world has changed drastically. 300 years ago, L’Errant was an Anishinaabe youth who sought adventure and left his home with the pale faced visitors to his land. When he arrives in Otter Lake, he meets with Tiffany, a young woman who is bored of res life at the Otter Lake reserve and seeking adventure. As a vampire, L’Errant has 300 years of knowledge to share with Tiffany, wisdom from the past. Two periods of time intersect as L’Errant explores his own history and connection to the landscape he left while teaching Tiffany to appreciate the place she calls home and not to move too quickly away from her land or lose touch with the history of her place. Tiffany has to cope with the multiple pulls on her identity, the pull on her identity from school, friends, and boyfriends. Only a vampire can bring her the history of her place to realise what has changed and what remains the same and to share with her his curiosity about the land he called home. His passion to return, to re-visit the place of his youth and humanity permeates the novel, inviting the reader into the longing for home that people in diaspora have. Being a vampire means that L’Errant is pulled in multiple directions from multiple longings – the desire to find home and to complete his life in a place where his identity was shaped… and, of course, the longing for blood, something attached to his life in Europe when he was transformed into a vampire. His return has caused him to fast, to hold back his urge for blood and focus on finding his place in his significantly changed home. Michael Wyatt’s art work blends effectively with the message of the story. The grey scale he uses for the novel lends an air of the gothic to these pages, and makes the red of blood stand out more… and the red of the vampire’s eyes. These sharp strikes of red become more potent for the viewer. An abundance of colour would have lost the shock and power of the vampire’s reaction to blood and his fundamental difference and otherness. In the splashes of red, the viewer is invited into the attention that the blood evokes from the vampire, making it ever-present and visually alluring. Since most of the novel takes place at night, the use of grey shades evokes the feel of night to the graphic novel, pushing the viewer into the indistinctness of dusk and the uncertainty that comes with a story full of change and surprise. Change is a significant part of Hayden Taylor’s story and Wyatt effectively uses his artwork to invite viewers to see the multiple juxtapositions of the current era (Tiffany’s time) and the past (L’Errant’s place of origin). He uses fog across panels to invite the reader to see the presence of change, and overlays panels from modernity over the past and vice versa to show that time is layered and that the past always dwells beneath the surface of the present. This layering is effective when L’Errant is uncovering items from his time period and sharing them with Tiffany: arrowheads, rocks that were once sacred and have been the seat for multiple people’s bottoms over time as they contemplated their place in the universe. Hayden Taylor’s story and Wyatt’s artwork highlight the changeability of the landscape and remind the reader that the stones we touch and the environments we inhabit have history. The vampire in this narrative serves as a reminder of the fact that although landscapes and situations may change, there are always things that stay the same, hauntings from the past that we need to pay attention to – reminding us that people have been experiencing the same struggles and challenges before and will again in the future. To discover more about the artwork of Michael Wyatt, visit his page on the Annick Press website at http://www.annickpress.com/author/Mike-Wyatt .